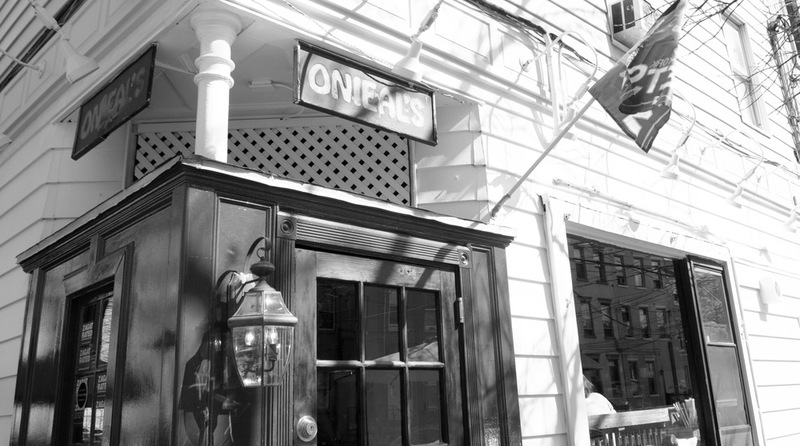 Set on a quiet corner off Church Square Park, Onieals offers a rousing but comfortable scene. Join us for quality food and drinks seven days a week and experience the warm and welcoming vibe that keeps patrons coming back for more. We offer outdoor seating during the warmer months with a serene view of the park, a cozy dining room, and a lively bar and lounge area. Every Wednesday night features free live music and Hoboken-ites set their watches daily for Onieals happy hour. If you are looking for the ideal neighborhood spot where you can feel right at home, search no further - our passion for hospitality will lead the way in providing a delightful experience. For a delectable menu including traditional pasta dishes and world-class burgers, head for the cozy dining room or belly-up to the bar for a livelier atmosphere. During the warmer months, enjoy our outside seating for our stellar Sunday brunch. Happy Hour Monday - Friday 5pm-7pm (bar only), ask your bartender for the specials!